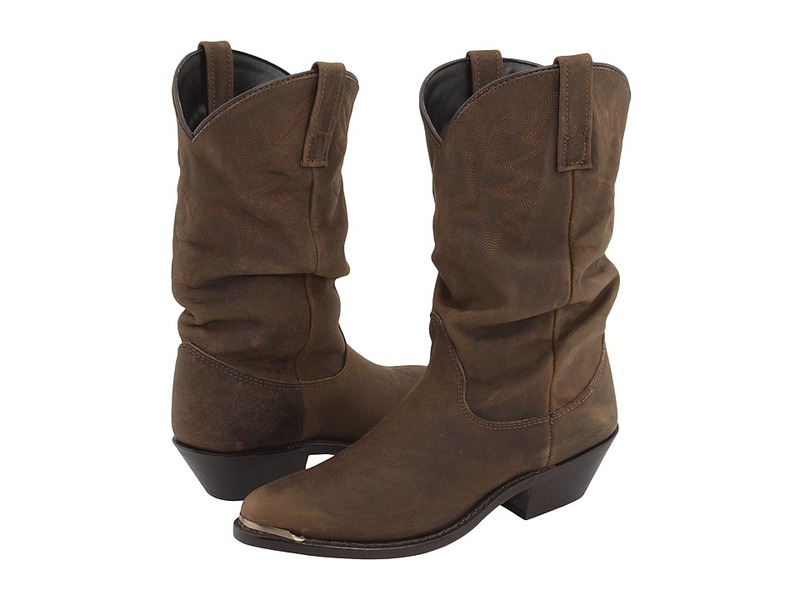 This sassy riding boot features buckle accents all the way up the shaft. 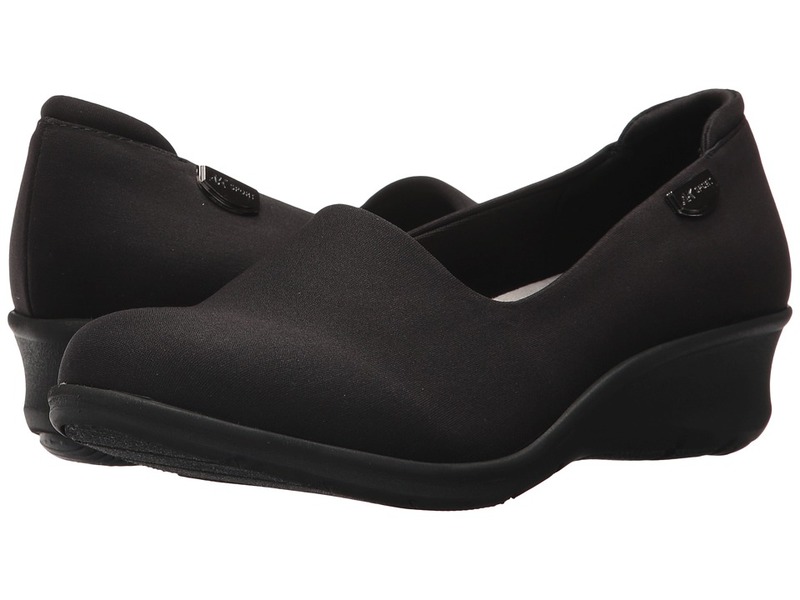 It has a 3/4 inside zipper, with a dual density comfort footbed, and breathable lining. It has a metallic heel insert on a low heel. Part of the Calvin Klein essentials package, Cirilla is your new wear to work blocky heeled pump. Offered in leather with a dash of sass with the snake heel detail. Gel pod provides added comfort. 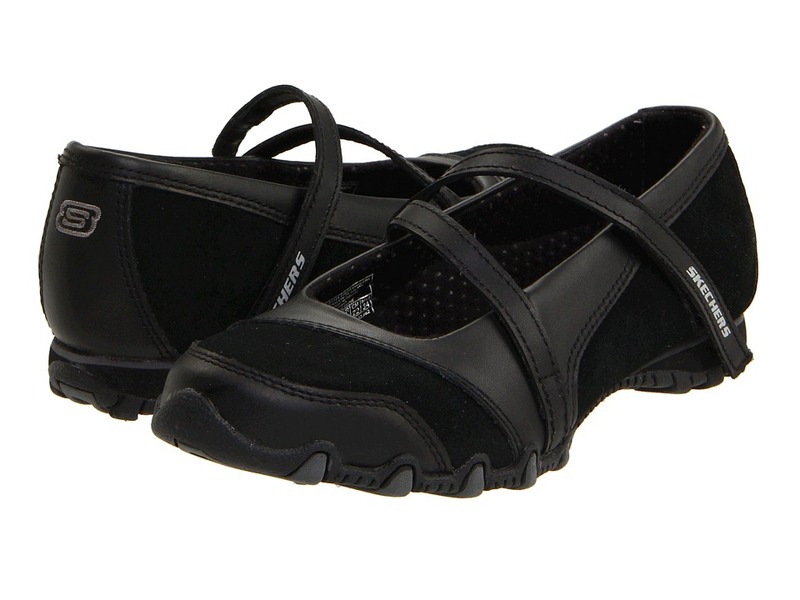 Look sassy and stylish in the womens Clark~s Artisan Tri Amanda casual shoe. 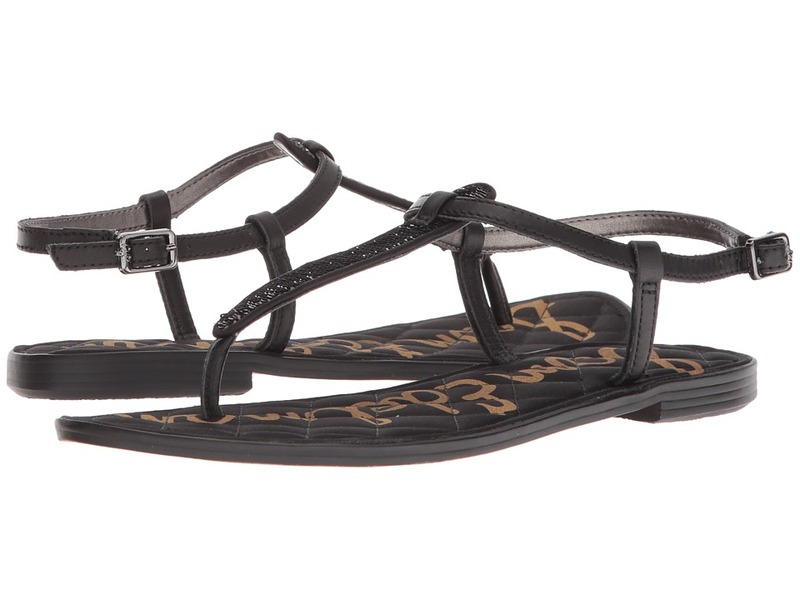 Made from leather, this shoe has an adjustable buckle closure for a comfy fit. Featuring a breathable leather/textile lining along with removable insole, it offers excellent cushioning comfort to your foot. Finally, its rubber outsole lets you keep a steady footing on different types of surfaces. Choose the womens Clark~s Artisan Tri Amanda casual shoe for its form-fitting comfort and durability. 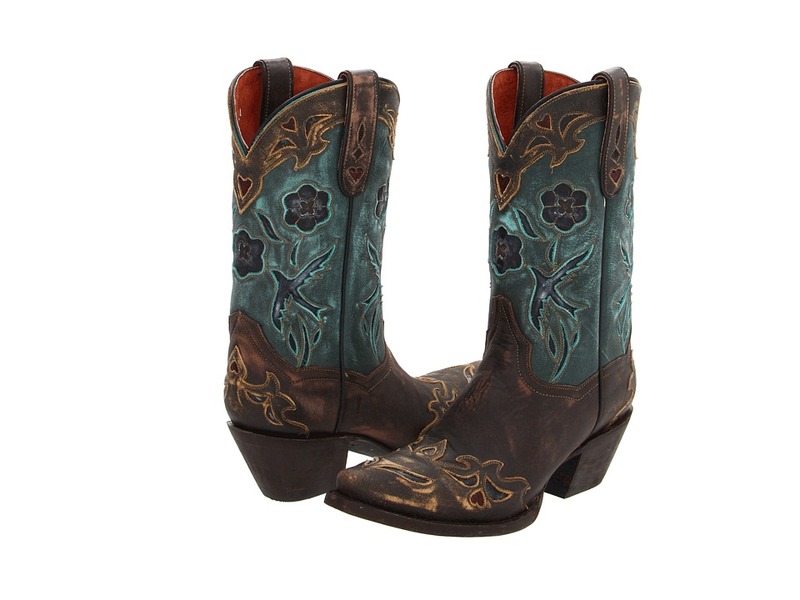 Show off your sassy side with these sweet cowgirl boots. Smooth leather upper with a slouchy shaft for a stylish look. Pull-on design. Cushioned insole provides lasting comfort. Composition outsole. Measurements: Heel Height: 1 1 2 in Weight: 1 lb 4 oz Circumference: 14 in Shaft: 10 1 2 in Product measurements were taken using size 7.5, width B - Medium. Please note that measurements may vary by size. Weight of footwear is based on single item, not the pair. 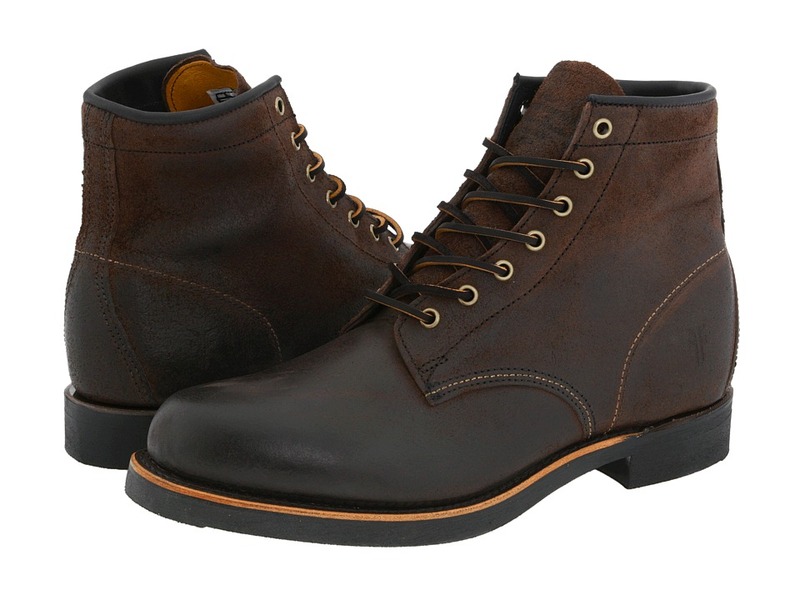 This work-inspired boot is quietly confident with clean, simple lines. Made of rich hand-worked leather. Lace-up closure. Leather lining. Cushioned leather footbed. Durable rubber outsole. Made in the USA. Measurements: Heel Height: 1 in Weight: 1 lb 12 oz Shaft: 6 in Platform Height: 1 2 in Product measurements were taken using size 10, width D - Medium. Please note that measurements may vary by size. Weight of footwear is based on a single item, not a pair. 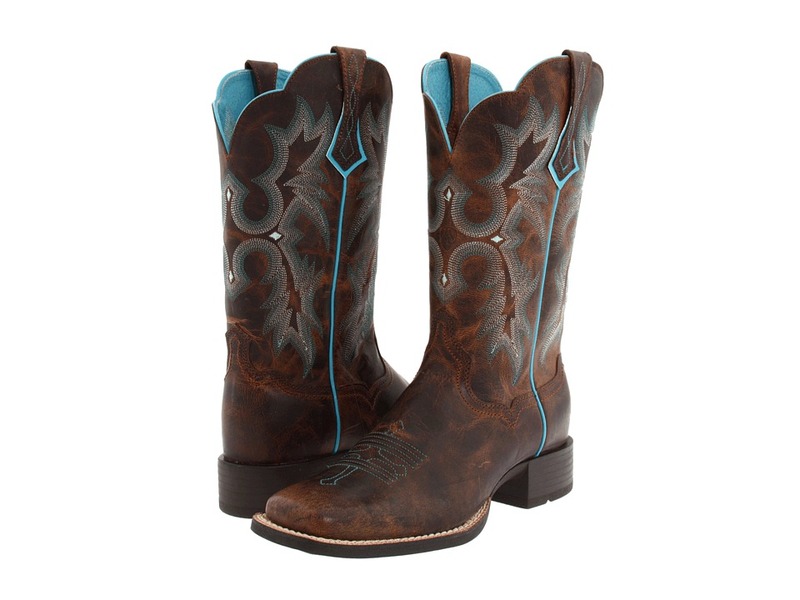 Combine your love for riding with your love for fashion in these stylish riding boots. Full-grain leather foot and patent leather shaft. Ten-row stitch pattern with embroidery accent. Cross design stitch pattern at the toe. Square-toe profile. Smooth leather lining. Gel-cushioned forefoot. Moisture-wicking sockliner. Molded footbed orthotic supports the arch and heel. ATS&amp#174 stability technology dramatically reduces the fatigue and stress in the feet, lower legs, and back. Goodyear&amp#174 leather welt. Durable Duratread&amp#8482 outsole. Measurements: Heel Height: 1 1 2 in Weight: 1 lb 8 oz Circumference: 14 in Shaft: 11 in Product measurements were taken using size 8, width B - Medium. Please note that measurements may vary by size. Weight of footwear is based on a single item, not a pair. 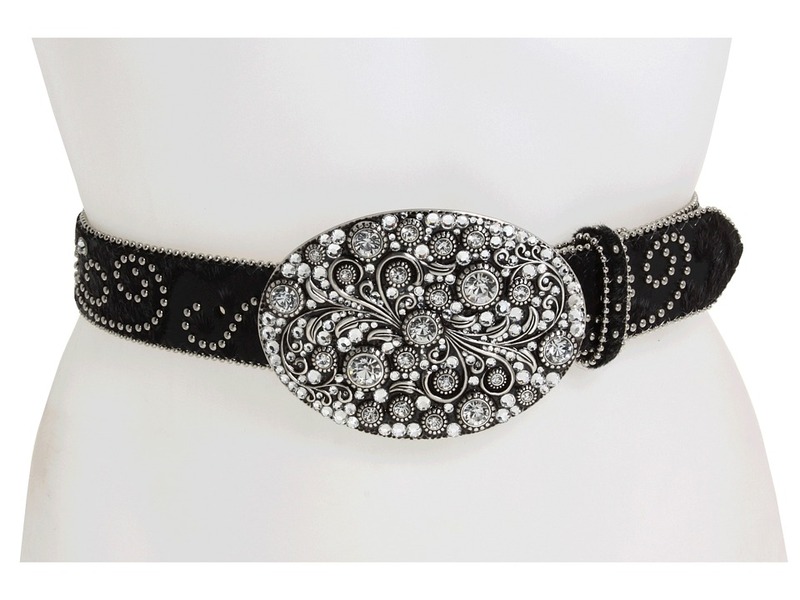 Add an extra touch of cowgirl sass to your wardrobe with this eye-catching belt. Leather belt with stud and crystal design details. Large buckle adorned with metal details and shiny crystals for the perfect amount of bling. Measurements: Width: 1 1 2 in First Hole Length: 28 in Last Hole Length: 32 in Weight: 10 oz Product measurements were taken using size SM (30 Waist). Please note that measurements may vary by size. The classic Levi~s look that~s always in style. 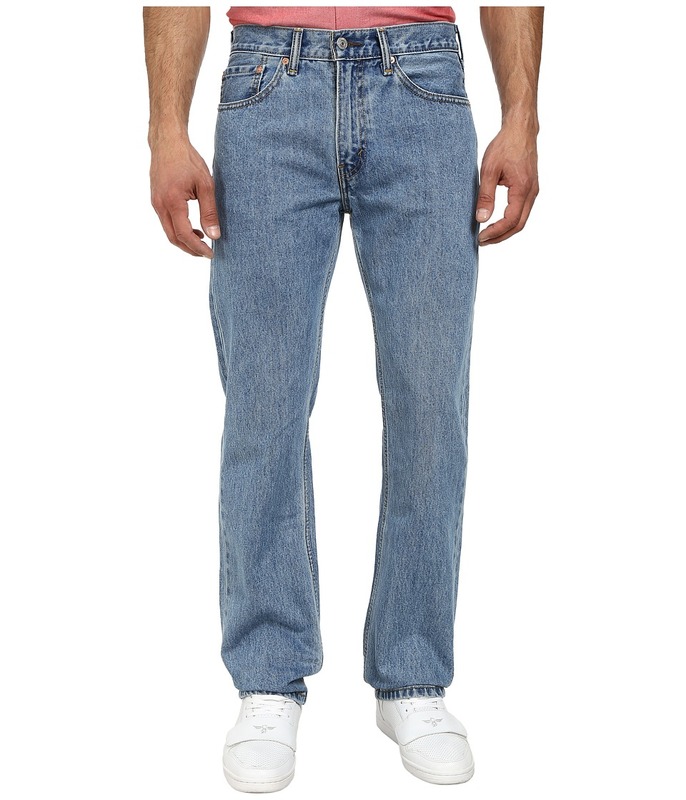 505 jeans fit comfortably straight through the seat, thigh and leg. Straight-cut waistband sits at the waist. Sits evenly on both the front and back. Classic, five-pocket design. Branding-stamped rivet and shank button-detailing. Levi~s or trademark-branded red tab at back pocket. Leather brand patch at back waist. Signature arcuate stitch at back pockets. Belt loop waistband. Zip fly and button closure. 100 percent cotton except on noted washes. Birdman, Clif, Goldentop, Hawker, Rooster: 99 percent cotton, 1 percent elastane. Caraway Slub Twill 1, Cash, Navarro: 98 percent cotton, 2 percent elastane. Kansas: 94 percent cotton, 5 percent polyester, 1 percent elastane. Roth: 88 percent cotton, 11 percent polyester, 1 percent elastane. Machine wash cold, tumble dry low. Imported. Measurements: Waist Measurement: 32 in Outseam: 41 in Inseam: 32 in Front Rise: 11 in Back Rise: 14 in Leg Opening: 16 1 2 in Product measurements were taken using size 33, inseam 32. Please note that measurements may vary by size. Inhabit the Grecian goddess of love and beauty in the Natori&amp#8482 Aphrodite Robe. Smooth and slinky poly knit fabric slides over the body in fine form. Long sleeve wrap robe falls to the ankle. Banded collar and front edge. Detachable self waist sash. Side belt loops. Internal waist string tie. 100 percent polyester. Machine wash cold, tumble dry low. Made in the Philippines. Measurements: Length: 55 in Product measurements were taken using size M (Women~s 10-12). Please note that measurements may vary by size. The Arkansas Mid Leather boot by Frye has an easy, casual style that~s perfect for both work and for getting together with friends. 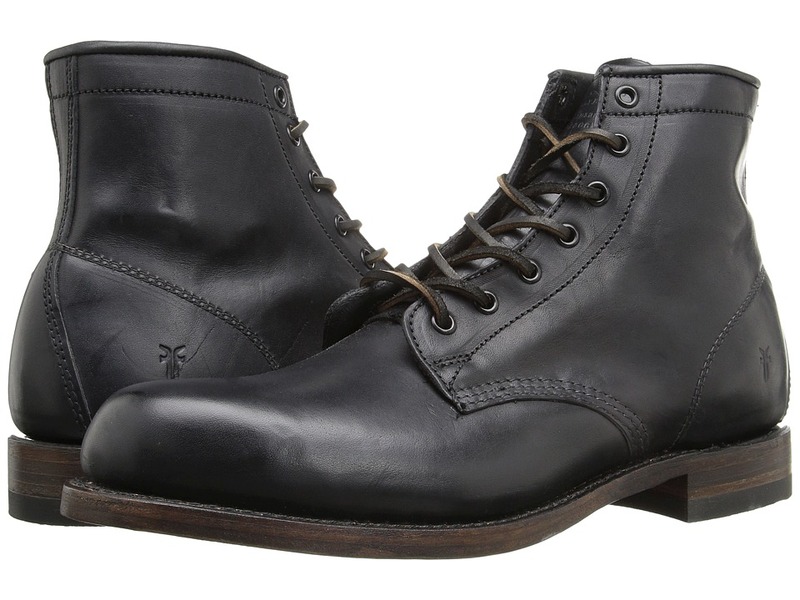 Soft pebbled full-grain leather upper. Traditional lacing system with sturdy metal eyelets. Unlined interior. Lightly cushioned leather sock lining for added comfort. Durable leather outsole. Made in the USA. Measurements: Heel Height: 1 1 4 in Weight: 1 lb 6 oz Circumference: 11 in Shaft: 6 in Product measurements were taken using size 9, width D - Medium. Please note that measurements may vary by size. Weight of footwear is based on a single item, not a pair.